I heard the alarm go off a little after 3am in our pitch dark room. As soon as I opened my eyes, anxiety set in, as this was the day that Sara and I decided we would wear sleeveless, fitted tank tops for our first time ever, working out. We couldn’t back out now, as she had tweeted it out to everyone on the ranch the day before. I got up, went to the bathroom down the hall, and put on my work out outfit. 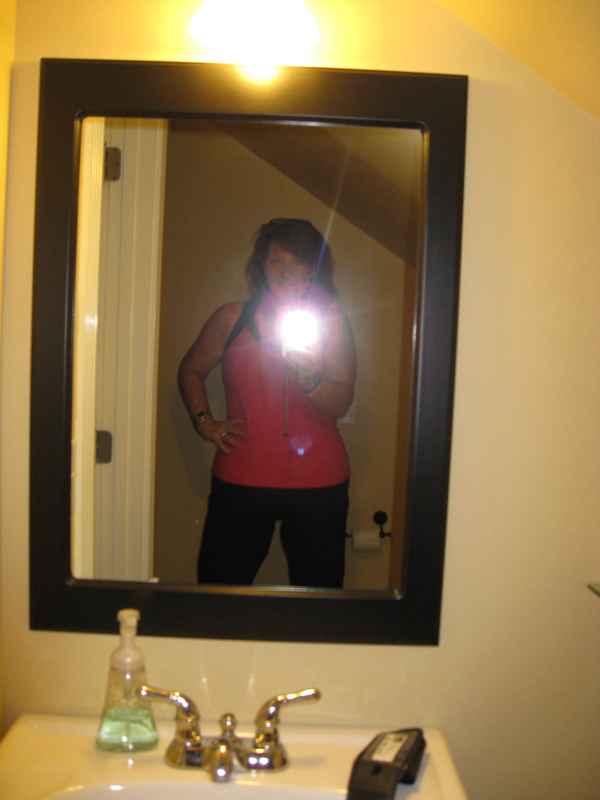 My stomach was full of butterflies, and I was shaking as I took a picture in the mirror. I walked back to the room where everyone was getting dressed, and Sara was in her tank top already. She looked amazing. We were both so nervous, but really decided it was time to start celebrating being 70 pounds down. We all discussed how real our feelings and insecurities are when we are overweight. We all shared how we live our lives dressed in black, because it is “thinning”. My actual goal this week was to have the courage just to wear some color, and it was Thursday, and I hadn’t even done that yet. I had been wearing my old oversized shirts, navy or black each day. I packed a few new shirts I had bought for the trip that actually fit. They were a bright teal and a purple, but I hadn’t worn them yet. I remember Darcy saying in the room that morning, “I actually remember buying my first pair of GRAY pants, as if that was a big step moving from black.” These issues are a part of so many of our lives, and it was helpful to just hear other women be honest about having the same issues as I had. So, Sara and I had our tank tops on…mine was hot pink, and I put my teal t-shirt on top, at least I was wearing a bright color today. (even if I didn’t get the courage to take the t-shirt off). Cars were loaded up and we were driving to the gym a little after 4am. We had another incredible visit in the car, just sharing in complete honesty and vulnerability, growing deeper in our relationships. 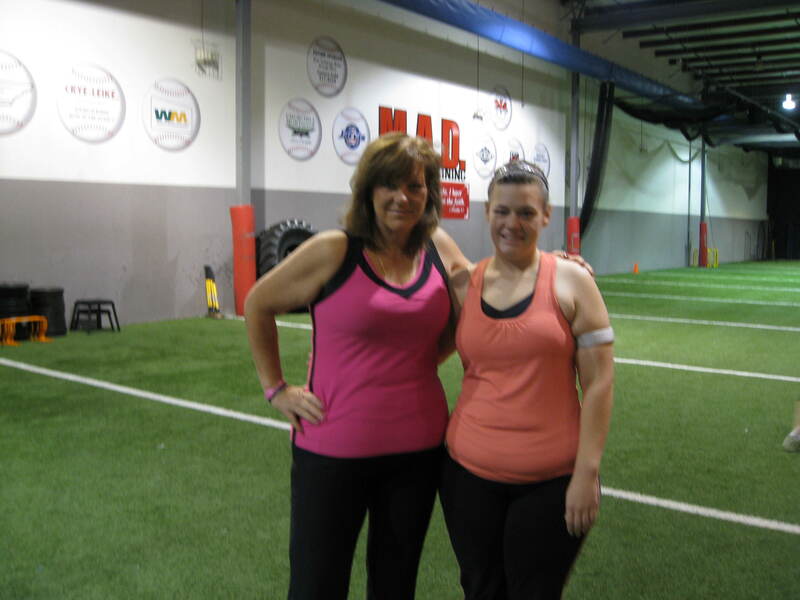 We arrived at the gym, walked in from the complete darkness outside into the brightly lit turf…which felt even brighter as we went to take off our t-shirts. We took a few pictures before starting our warm up, then we joined everyone walking around the turf. So many people were coming up to Sara and I, just encouraging us and telling us how great we looked. We were both so “wowed”, and we chose to just take in every compliment. It was amazing. In the back of my mind, the issues kept trying to creep up. I was already worrying about Carter yelling out that it was time to raise our hands while walking….then jog…then raise our hands while jogging. I started to worry about my shirt going up, and how consumed I would be about pulling it down..I was praying for the Lord to just let me release it all and enjoy the moment. And he did. We did all those things, and it was fine. And not only fine, but freeing! I felt so free and fit jogging around that turf. It was a safe and encouraging place to do it. Sara and I kept catching each other’s eye and smiling, as we both were going through this together, and it was incredible. And, as I looked around and continued to pray for everyone to continue to have breakthroughs, and “Hannah back bend moments” of their own, today I saw women jogging for their first time. Today I noticed women who came to the turf for their first time, and I was so excited for them. The morning was filled with loads of very tough intervals. We started out bringing up our heart rates alternating from jumping jacks to burpees, back to jumping jacks (over and over again). Then we went from jogging– to bear crawls forward and backwards (brutal, so hard), then lunges forward and backward. Our next timed intervals went from jogging, to groucho walks, to skipping. During this time, and amazing breakthrough happened for Sara. Sara was told at one point in her life, that she could not skip, so her entire life she believed that she could not skip– so she never did. Today, Carter said skip….and Sara just did it! Isn’t it amazing what the power of someone’s words can have over you? In this case someone said,”you can’t”, and Sara lived her whole life never even trying to skip. And today Carter just told us all to do it, and she just did it! It was a great moment for her, you could see the amazement in her eyes and her smile….I’ll never forget it… I’m so glad she shared it with us. In our next set of intervals, I had another “Hannah backbend moment” of my own. We had to be in plank position,(its a push up position but with our elbows on the turf instead of your hands). Then we had to go from plank to push up, one arm pushing us up at a time, then back down the plank and then start push up with other arm, and keep alternating. I have never been able to do these before, but it was Thursday, and I knew by now that Carter expected us to bring our absolute best to that field, and to push ourselves beyond what we think is our limit. So I was determined to try to do this whole interval the way he asked for it. Plank with alternating arms, then hold a plank, then sideward mountain climbers. We had to do it over and over and over again. I pushed so hard to be able to do this, tears were streaming down my face, I was dying in pain, and started to groan a bit out loud. Bethany was on the turf next to me, it was her first day there, and she was pushing herself so hard also. Right when I thought I couldn’t handle it anymore, Carter shouted, “Don’t be that person who quits!”, and I prayed and pushed and cried while going through it, pushing through and seeing what my body would do, even though I didn’t think I could…it was another huge breakthrough for me. I reminded myself that I had the amazing opportunity of GETTING to be on this turf with everyone, and I also knew after today, we only had one day left to experience what our bodies could be pushed to do here. I fully trusted Carter, that he knew what we could do, and I just followed his voice and instructions, not wanting to be that person who quits. We ended with our huddle and shout, and then we took some time to take a few pictures with Carter, celebrating our first workout in tank tops. Everyone was so proud of us…what a special, safe, wonderful place to have this experience. 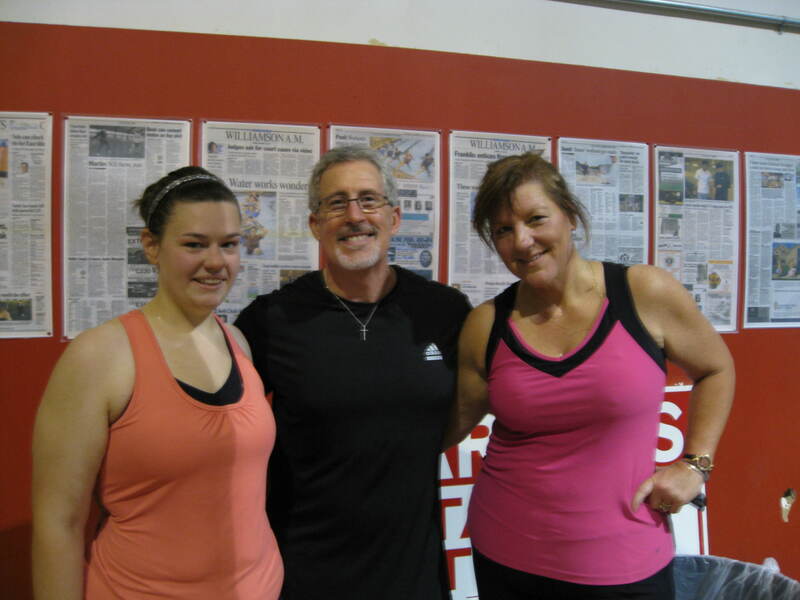 Before heading out of the gym, I was so proud of Bethany for sending out an SOS before leaving. She was afraid to do one of the moves during the hour, and stopped and asked Carter if he could show her how to do it, so that she could try before leaving the gym, and before losing the opportunity to see if she was able to do it. We took pictures as she broke through what she didn’t think she could do! I was so proud of her. She found the courage to come to the turf today, and the courage to break through an exercise she didn’t think she could do. Yay Bethany! On to the best feeling of walking OUT of the gym…after an amazing workout completed, experiencing new heights of abilities, greater faith and belief! 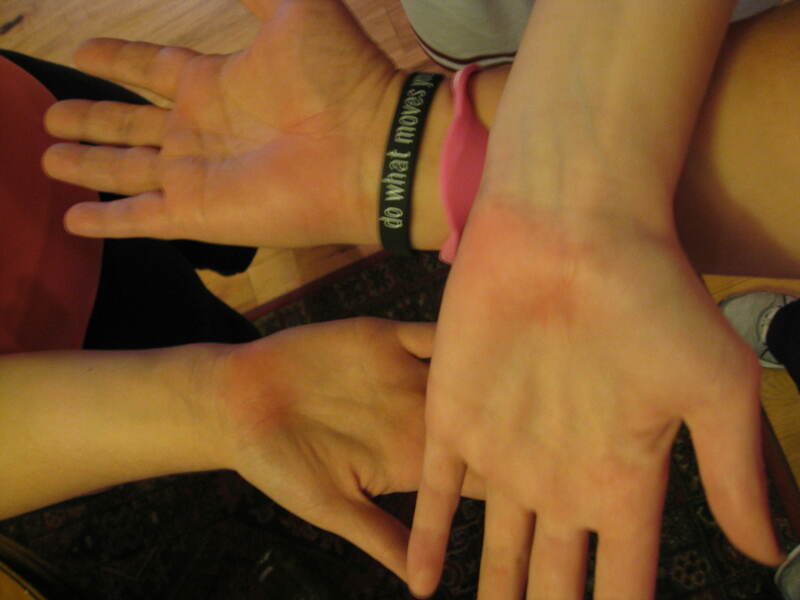 Proud of the turf burn on our hands! Our car, of course, made it’s way to Starbucks. (ah ahh…yes, we could hear the angels sing as we took our first sip). Another amazing ride back, sharing all that happened for each of us on that turf, along with more life stories. When we got into the car, there was a tweet from Courtney, letting us all know that she and Marci, Olivia, Hannah and Murn had all made the tough decision to sleep in this morning. In a few of the talks, we were all told how important it is to get enough sleep, and not let your body get run down, and as we read her tweet in the car, we all discussed how much we really respected all of them for showing us, first hand, how to make the tough decision and do what was best. We knew how much they wanted to work out, but they were all giving so much of themselves, staying up late to give talks, meet with individuals…take care of all of us, and they were really tired. It was so great for us to see them live what they were teaching us. On the ride back, we shared how tough this season of life is for some of us, starting to take care of our aging and ailing parents. As they get older, so much of their vibrancy for life has a lot to do with how fit and how healthy they have been or they are, and now we start to feel so responsible for their problems, as we take care of them. All we want is for them to enjoy and love the life that they are living, especially after all they have done for us our entire lives. But for many of us, our parents took care of everyone else, and put themselves last. We all brought that to our own realities now, in that fact that we all really wanted to continue in a lifestyle of health and fitness, so that we didn’t put our children in that same place one day of feeling responsible for us. We want to enjoy life with them and their children (our grandchildren) one day..going on trips, visiting, and not having to have them push us in a wheel chair or leave us behind, because we are too sick to enjoy life with them, because we never took care of ourselves. It kills me to see my mom taking so many medications…prednisone, heart medication, insulin, water pills, breathing in a nebulizer 4 times a day, sleeping with oxygen attached to her sleep apnea machine… and watch my dad barely walk or even speak much since his stroke last year. The effects of diabetes, heart disease, and stroke has limited what they are able to do and minimizes the way they are living day to day. They were 2 people who were the most vibrant, amazing special people, who helped everyone around them and brought so much joy to everyone else, along with being the best parents in the world– who did everything with us and our friends. It was another “aha moment” for all of us sharing on that car ride back. When we all got back to the ranch, Jim took our “room mate picture” in the living room, and Sara and I decided we would stay in our tank tops all day, and not cover up until we had to in the evening when it got colder. We were both working very hard on stepping out of our comfort zones, it was both scary and very freeing. We all ended up in the kitchen where everyone was sitting around the big dining room table talking and sharing. Our conversations in there were so amazing, time flew by a bit. Then Carter came in to make a few announcements about the plans of the day ahead. We all left that kitchen with Carter’s handprint on our hearts. We all came to this Faith to Fitness–Unleash the Champion retreat with our own life stories of brokenness and weaknesses, issues, struggles, fears, shame….along with our hopes and dreams. And one of the most beautiful parts of this week, is to have the opportunity to learn from each other’s stories. We are all in this together, and we all have tough, yet beautiful stories, even the “famous” Biggest Losers…even our “famous” coach, Carter. We are all works in progress. We were all created for one purpose…to glorify God– To give a correct estimate of who He is and what He can do. And that is our life’s purpose… To show what He has done to restore, renew, and make us into who He created us to be. And as we share… really share, heart to heart..that is how we see first hand what He is able to do in the lives of those who love Him and ask for Him to do His work in them. Taking our long walk over to breakfast, I think we were all just inspired by Carter’s sharing from the heart, to do the same. I walked with Bethany, and we had a great time of sharing, and toward the bottom of the hill, we were picked up by Heather in her car, and by the time we parked for breakfast, we all had a great time of sharing, as well as a good cry. More handprints left on each other’s hearts. Again, it was the perfect letter to read at our table. As I wrote before, Lorraine really wanted to be on this week, but had to work. What she didn’t know while preparing all of these notes/letters, was that through the words she shared with me and the people around me each time I read a letter.. a part of her was here, and she was connecting with some of these women in a special way already. Some of the women at our table shared that they didn’t have a best friend like Lorraine, and actually made me promise that if they ever came to NY, they could meet her. It was another moment, as Lorraine had prayed for in her letter, where we all went deeper in our conversations during that lunch time, and realized how lonely many women are, as we all really long for wonderful friendships with amazing girlfriends– Friends who you could really depend on, and live life with.. Through good times and bad. I couldn’t wait to get the chance to call her later, and tell her how much she touched these women today. After breakfast, we went back up to the upper room for our morning talk. 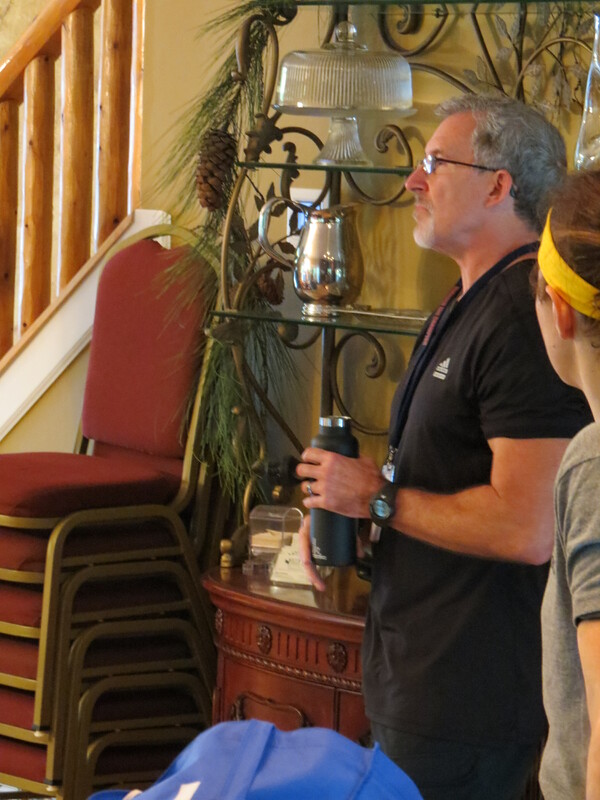 This time, Dr. Binkley, (who was suppose to give his talk the day before), was there to educate us in so many areas including hormone balance, the thyroid, soy, stress, insulin, cortisol, hormone replacements, gluten, etc. It was another talk packed with information and knowledge that would empower us in our journeys, and enable us to make great decisions in the future, based on the facts and scientific research he shared with us. Our heads were filled with lots of new information, my notebook filled with notes so that I wouldn’t forget what we learned. It was definitely time for another delicious lunch made by Chris and his staff. We all savored every bite, and continued to share our lives with the people at our tables. When we were finished, it was on to our afternoon hikes, and just like each day before, we were joined by more courageous women who decided this was the day to believe that they could make it to the top. 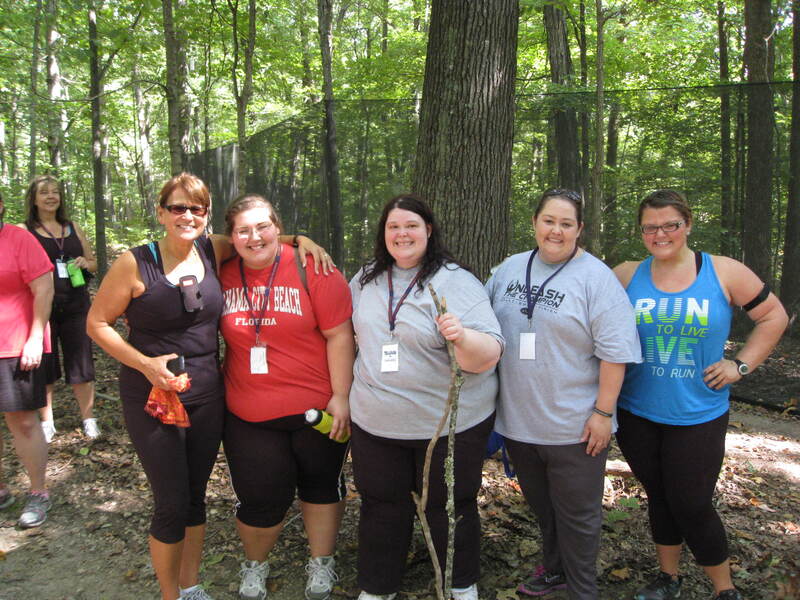 After completing the moderate hike, we went over and gathered together for the tough hike. Today there were few more women who decided to conquer this mountain for their first time, and those of us who had done it before all spread out to make sure that everyone got to the top no matter how long it took. We would rest when they needed to rest, and stay by their side the entire time. We all started at the bottom taking a few pictures to mark this day, and then we started up the path. 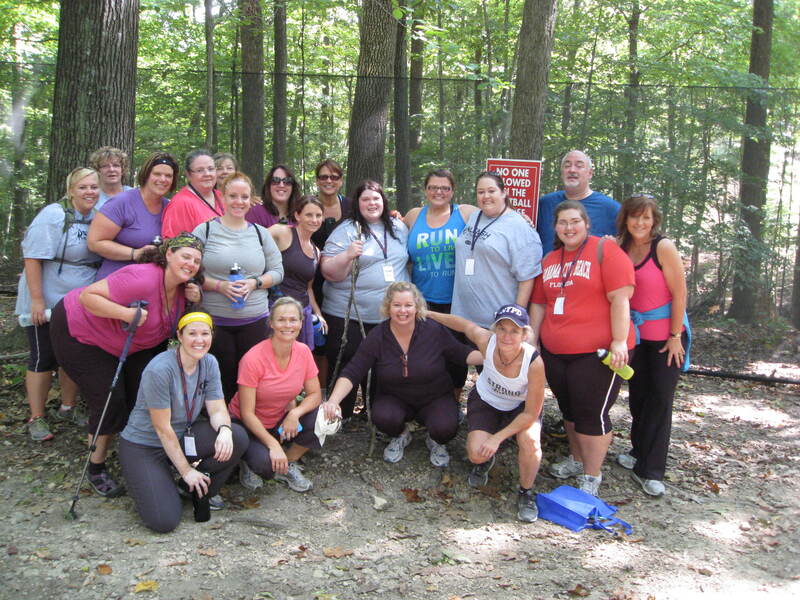 Within moments, it became a very special hike as groups of women gathered around each “first timer” to encourage them and help them believe that they could to this. I was walking with a group surrounding an incredible woman named, Roseanne. This was a very tough climb for her, and at one point, Bethanny walked into the woods and broke two branches to make walking sticks for her. They were perfect, and such a brilliant idea. 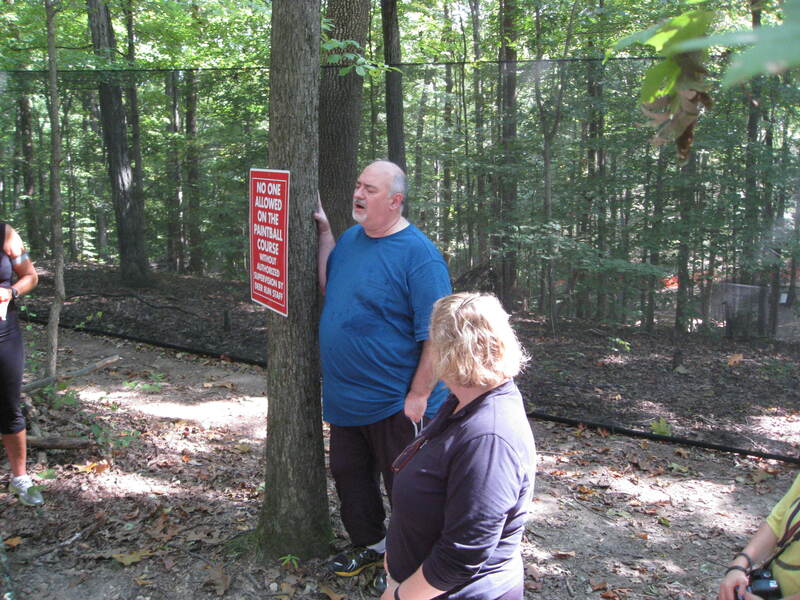 We went step by step with Roseanne, stopping when she needed to stop. Heather, if you recall, is the incredible woman who shared with all of us at the top of the mountain the first day, that she was battling MS, and had dreamed of getting to the top of that mountain…and promised that she would climb it every day that week. And now here she was, she had already reached the top (for her 4th time that week), and she had climbed back down part way to offer her poles to Roseanne. Roseanne thanked her, but decided in that moment that she would finish the climb with the poles that Bethanny had made for her. With that, we continued climbing the last steep part, with the top in our sights. Everyone got behind Roseanne as she took her last few steps to the top. I ran up front to record the moment with my camera, as it was such a powerful moment for her, as well as the other women whose first climb it was. When everyone reached the top, Jim lead us as we all broke out singing “How Great is Our God” and “How Great Thou Art”. It was absolutely beautiful, singing and praising God for all He was doing. Everyone was singing, reaching out and putting their arms around one another… and tears were just streaming down the faces of everyone there, as we celebrated more victories for the group of women who took a big step of faith today, as they took one step at a time, believing they they could reach the top with everyone. And to have Marci and Courtney there to encourage, celebrate and cry with us, was a beautiful part of the experience no one will ever forget. They know the struggle, the burden, and what it is like to fight this battle day by day. And there is nothing like having someone there for you who knows exactly how you feel. Pure, sweet, kind, true…empathy. Climbing down, we continued to take care of everyone, as the rocky, steep path was difficult to maneuver in getting down also. But climbing down, there were smiles and eyes filled with such joy on the faces of the “first timers” and everyone helping them. We were all so proud of them. We had another fantastic talk lead by Carter, where he taught us all about strength and power, along with dealing with pain. More great knowledge that filled my notebook. We had a chance to learn about rollers and try them out, along with great stretching techniques. One of my favorite things about learning all of this hands on stuff, is that we are learning it in such a special environment where we all feel so safe and comfortable to really try things and learn things, and have full confidence in the expertise of Carter and the people he has brought in that we won’t hurt ourselves trying whatever he asks us to try, and there is no need to feel self conscious in any way. What a gift! This brought us up to dinner, another delicious meal, filled with beautiful conversations, and great laughter. We were all looking forward to the evening talks, as tonight we would hear from Carter, Murn and Hannah. Then, we would also have some time to ask anything we wanted from the entire “panel”–Carter, Murn, Hannah, Olivia, Marci and Courtney. 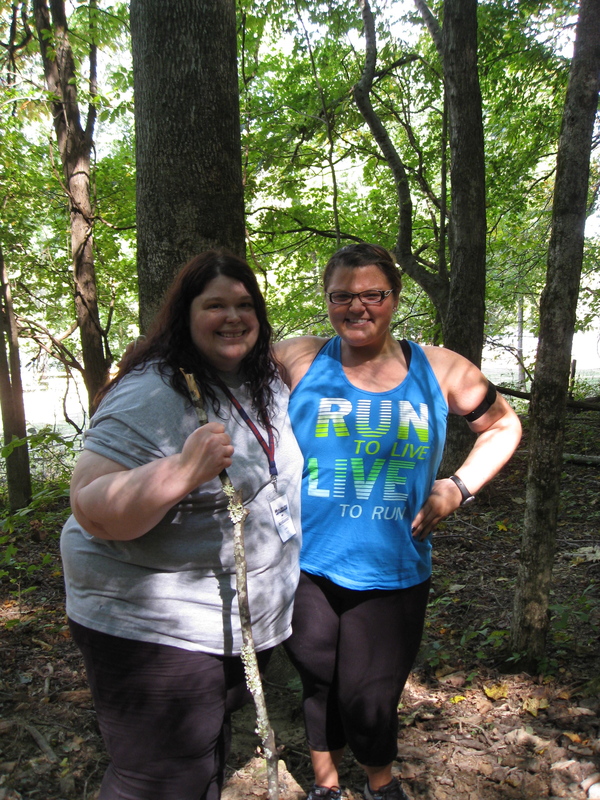 As we hiked up to the “upper room”, Sara and I celebrated that we were still in our tank tops, walking around still a bit uncomfortable at times, but celebrating how free we felt not wearing our big t-shirts and oversized sweatshirts. Throughout the day, the other women and men were so kind in encouraging us to celebrate how far we had come. When we got to the top, we had a few minutes, and I just had to call Lorraine and tell her how her letters touched more women today at lunch. I remember standing outside the upper room, looking around the woods, up at the sky, noticing all the beauty, trying to take in all that had already happened that day, as I dialed the phone, hoping that she would pick up. When I heard her voice, it was awesome! And what was even more perfect, was that before I even began to speak, she just said how much she needed that phone call at that exact moment, as she was having a rough day. I LOVE God’s timing!! We had a little time to connect and share, I got to tell her how she is such a part of this week, even without being here– That women here already know her name and look forward to meeting her one day. And we got to just take in and thank God that we have such a amazing friendship, and that our daughters are best friends, and today we were not taking that for granted, as we were reminded that not everyone has a best friend in their lives. And I have prayed many times since returning home that the Lord would provide amazing friendships, sisters in Christ who would walk side by side through this life together for all the women there who didn’t yet have that. 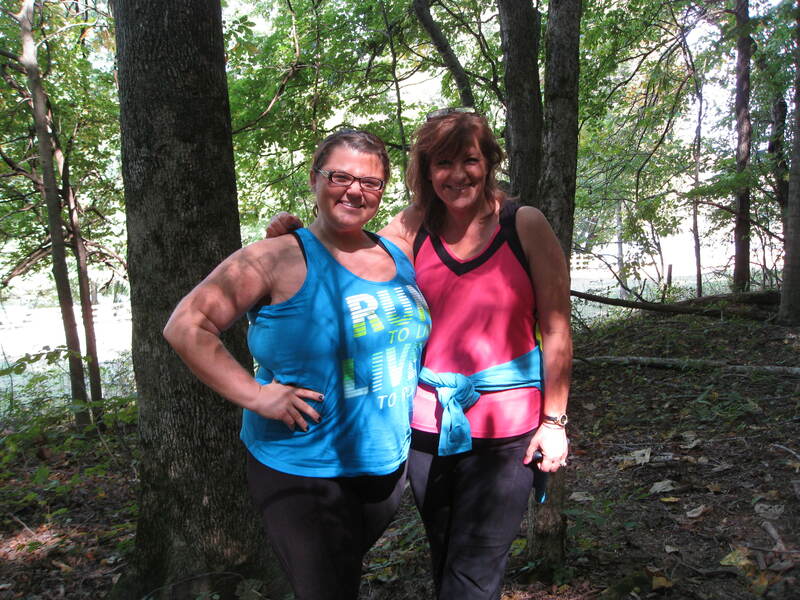 I continued to share with her all “God incidences” that were happening down to the second… I also shared with her that Hannah had told me that the letter that I sent her while she was on The Biggest Loser, was really special to her, and that she had read it numerous times going into the finale. What an incredible blessing to find that out, as I had forgotten all about it. When I wrote to her and Olivia during the show, I never even imagined at that point that I would ever even meet her. It was just placed on my heart to write the letter. And now here I was, over a year or 2 later, on a retreat in Tennessee, on a hike with Hannah this morning, finding out how much a letter I wrote to her, meant to her. Only God! It was another beautiful evening where we saw first hand how God brought together, weaving through lives, bringing people and plans together over time, placing dreams and passions within each person..to create this weekend for us. Mary Nell (Murn), was one of the key people involved, and it was her turn to start off the evening. It is always fun to hear Carter introduce each person, giving us his “take” on them, and sharing from his heart what they mean to him. 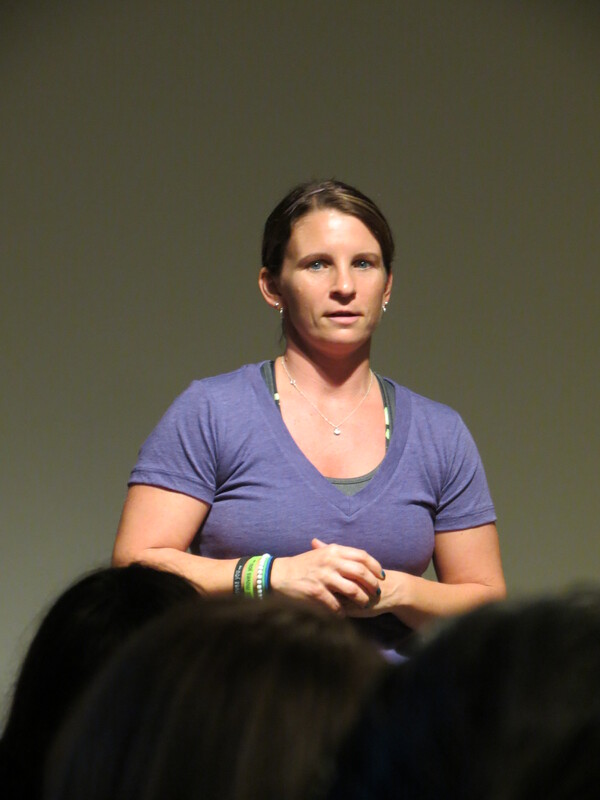 As he introduced Murn, he shared with us how he first met her at one of his boot camps a year and a half ago. He describes her as, “the Everready bunny on steroids. She is so intense, so passionate about performance, and she puts everything into what she is doing. But, her passion is just as much for other people as the passion is for what she is doing. She is awesome because she gives out as much from her heart as she does with her sweat and her tears. The driving passion of the effort is the driving passion of her heart. You get sucked into her energy–which leads you to get sucked into her heart…and the heart keeps you, and the energy takes you!” Wow!, with an introduction like that, I bet you wish you could spend time with this remarkable woman. And I can tell you first hand, every word is true! I couldn’t wait to hear her speak, as she had already shared so much with me, and taught me so much on the hikes, around the ranch, at the lodge…She is only around 5 feet tall, but when you are in her presence, she brings with her such joy, strength, faith, belief, energy, love…that literally makes her close to 6 feet tall! She’s amazing! When Murn took the platform and began to speak, she shared with us, what a true surreal moment this was for her to be speaking in front of us at this retreat, on this evening. 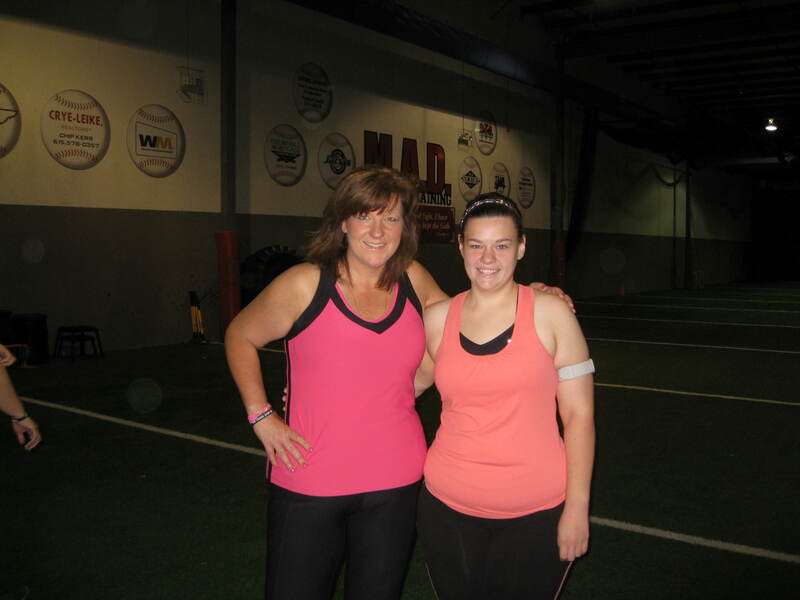 Her life journey brought her to a place where the Lord began to show her that she would one day be in a place of helping others get fit and healthy, after battling fitness and weight herself. She always watched the Biggest Loser, and while watching season 11, she felt that she was destined to know Hannah one day. Little did she know, that the Lord would bring her to Carter’s turf, and she would find herself at a bootcamp literally doing a plank, side by side with Hannah, as Carter was training Hannah for the finale. It was at that moment, doing the plank, that she saw first hand how hard Hannah had worked and transformed her life, and it was also at this defining moment that Murn felt a fire inside of her to do this. She became friends with Hannah and Carter during this time, and each of their dreams came together and they started imagining what could be….She shared with us that when they put this retreat all together, booking the property, etc., they weren’t even sure anyone would really show up. 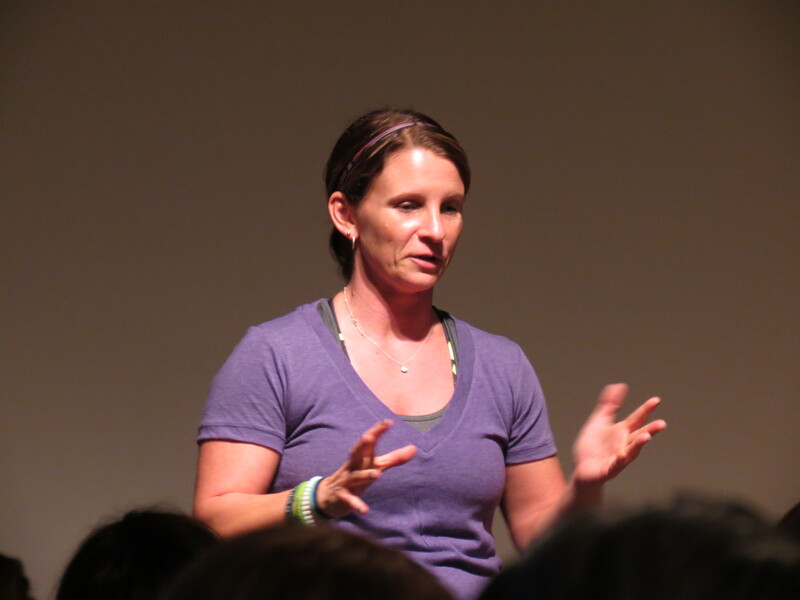 And yet, there we all were, over 45 of us, sitting in front of her, on this retreat, which was sold out in around 72 hours after it being announced…and she was now part of a team of people who were changing our lives…. sharing her testimony and sitting on a panel later that evening with Marci, Courtney, Hannah, Olivia and Carter. How does that happen??? Only God!! When Murn finished sharing with us, Carter then introduced Hannah. You could tell by the way they shared about one another, that the Lord has done extraordinary things through their friendship in both of their lives. In his introduction, Carter said that one of the most powerful qualities of Hannah is courage. He continued, “Courage is a state of mind, knowing God’s will is the will for your life. That’s where your confidence comes from. Hannah displays it through her honor, her laughter. Her laughter is from the heart.” Then, as he looked at Hannah, inviting her to take the platform he said, “Thank you for your courage–your laughter, your smile, your tenacity of love has changed all of our lives, so thank you.” She hadn’t even started her talk yet, and our eyes were already tearing up just from her introduction! Hannah took the stage, and just as every person before her this past week, she shared straight from the heart–the really tough and really great moments and times of her life. We learned how the Lord brought her life into the lives of Carter and everyone else there, through one divine appointment after another, along with her journey on the Biggest Loser, and how she endured the process and came to a place of victory. She went from a time of being 299 pounds in her life to standing on the stage at the finale, in a size 2 dress, weighing 128 pounds. Just as Carter pointed out, Hannah is courageous, has a smile along with laughter that is just so endearing. She is honest, sweet, smart, loyal, kind….has an incredible tenacity of love, she is so generous, and has such an excitement and passion to pass on all that she has learned on her journey to everyone who wants to learn from her. She, along with Murn, Olivia, Marci and Courtney, all of them, are willing to open up and share from the depths of their souls…their hurts, disappointments, insecurities, anxieties, weaknesses, etc. That night, Hannah taught us all so much. She pointed out, again, that we are all great at giving and taking care of everyone else first. Many times, being overweight, we hide in the back or choose not to do things, and just keep going on each day and not reaching for what is ours… not asking for help, not letting anyone know how sad or depressed or helpless or frustrated or horrible we feel. Not sharing any of our dreams with anyone. One of the biggest lessons she taught me that night was. “You have to send out your SOS’s”. You have to ask for help from everyone and anyone who can help you. Asking for help is one of the bravest things you can do. She asked us, “what do you need from your parents, what do you need from your spouse, what do you need from your friends?” Most of the time, the people around you don’t even know you are unhappy, and if you just start asking for help, people want to help you. She even shared that when she got home from the show, she ask the guy at the local deli if he could have fresh turkey on hand for her…he was happy to do it, and he has it waiting for her now, every week. She asked the local grocery store if they could order her gg crisps, so now they carry them. 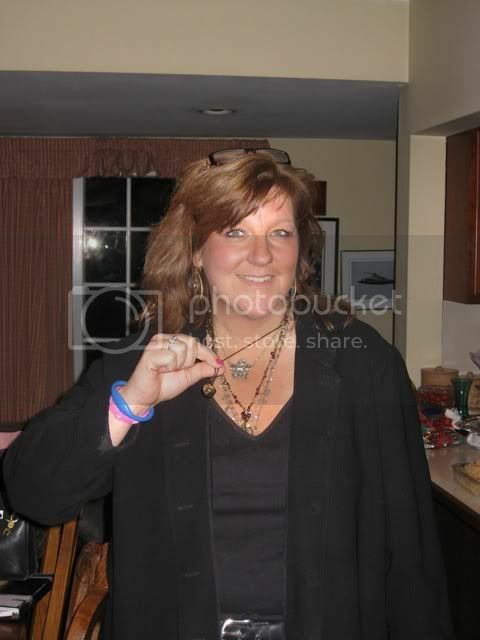 She shared, “It takes an army, you need help, tell people. She also pointed out that, “All you have is you, everyone else is taken. You have to be your best you.” That has been one of the greatest lessons for me this week. I just have to bring my best. My best is enough. Not the person in front of me or behind me or on either side of me. I just need to bring my best everywhere I go…whether it is the gym, on the turf, at a meeting, with my friends, with my family…wherever I am….bring and do my best.The only person I have to try to out-do is me…outbest my best. Hannah explained that once she started to get this, she broke it down into “steps and checks”. She got up and decided what she was going to do, asked for help from others, and did it. “Got up early (check), walked 5 miles (check), had a healthy breakfast (check), wrote down my food (check), etc. 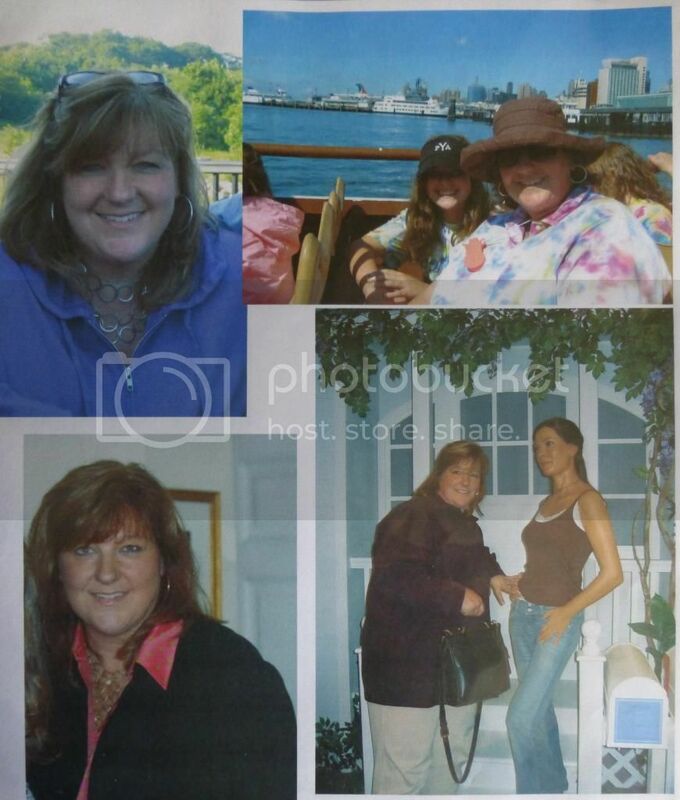 Etc… she spent her time on The Biggest Loser in steps and checks, and continues to do that today. Hannah’s story continued, and she shared with us what she learned from Carter when she started working out with him as he trained her all the way to the finale. It was all the things he was teaching us this week. “Motivation comes from you, and you have all the tools you need. Work hard and trust your body. You were not made or designed by man, YOU are fearfully and wonderfully made by God. God has a better plan, how’s your plan working for you?” I’ve definitely learned to trust God in this process, as I have never been able to lose weight in my own strength and keep it off before. The number one difference I have shared with others about why it has become a lifestyle and something different this time, rather than any other time I have lost weight before, is because I am doing it with His strength and power, not on my own. That’s why if you bring your best to Him, and ask Him for His strength, it’s enough. Your best, not anyone else’s, just yours. To this day, when I think of Hannah, the first thing I think of is sending out my SOS’s, and believing, Why not me?… Like her, I was great at helping everyone else first, leaving myself for last, but in this journey I have learned, “after me, you come first….after me.” I try to make my good choices, one at a time, and check them off. When I didn’t get to the place of winning the entire Dr. Oz challenge, I was devastated. I remember calling Olivia, because I truly believed that I was suppose to win the entire thing. I remember her sharing with me that Hannah fought and believed that she was going to win also, but Olivia won. Then she reminded me that just because I didn’t win, didn’t mean my journey was over, this was just a part of it. Hannah didn’t come in first, she came in second…but look what she is doing with her life, and how she is moving forward and inspiring others. I needed to be reminded that God was in control, and ask Him what I was suppose to do next, trusting that He was in control, and He was in charge of my journey…and that it would be above and beyond what I could ever ask or imagine! Because I got to hear her journey, I have been asking for help, believing in myself, and asking God to show me His plan, because mine wasn’t working. His plans are so much better than mine. I head to the gym and constantly try to outbest my best. I keep adding to my personal army of people who are helping me do this, and I have been amazed at the people God has placed in my life. Hannah said, “your story means just as much as mine–it’s just in a different box–everyone has one–who ya gonna tell?” And one of my greatest joys has been to inspire others through what the Lord has done through my life…sharing His story. Well, we could barely take our breath and wipe all the tears…and I could barely finish writing as fast as I could, not to forget anything learned from Hannah, when we got ready to hear from Carter, himself. I made sure I had a lot of room in my notebook, as I knew I would be writing as fast as I could to capture all that the Lord was going to share through this wise, God fearing, God loving, gifted and talented man. Carter continued the evening sharing his own life testimony. Some of us had had the amazing gift of hearing him share this afternoon at the lodge, but now it was time for him to share with everyone there. Just as we had heard through the testimonies of Hannah and Murn, the Lord had an incredible story to share with all of us, through the life of Carter, also. He reminded us that we all have holes to be filled, and that God is the only one that can fill those holes. He reminded us that by His stripes, we are healed. He took it all on that cross, every pain we have had, every insecurity we have had, every______ you have had….it was taken upon Him and FINISHED on that cross. And it is a daily choice for us to know that and live in it. We all fall and forget this, taking it into our own hands, but Carter reminded us that we can get better at this, as we see ourselves coming back to this promises quicker and quicker, after we fall. There is nothing like seeing someone, or being someone who walks fully in their calling. Carter is walking in his calling. He loves seeing other people really get it. He lives to be a part of helping people “get it and then do it”. He has come to the place of using all of His gifts and talents to do the Lords work, the work He created him to do. There is no better place to be. That is something that I have had to work on believing. No matter what your weakness is, you believe that everything will be better when you get to whatever goal you have. 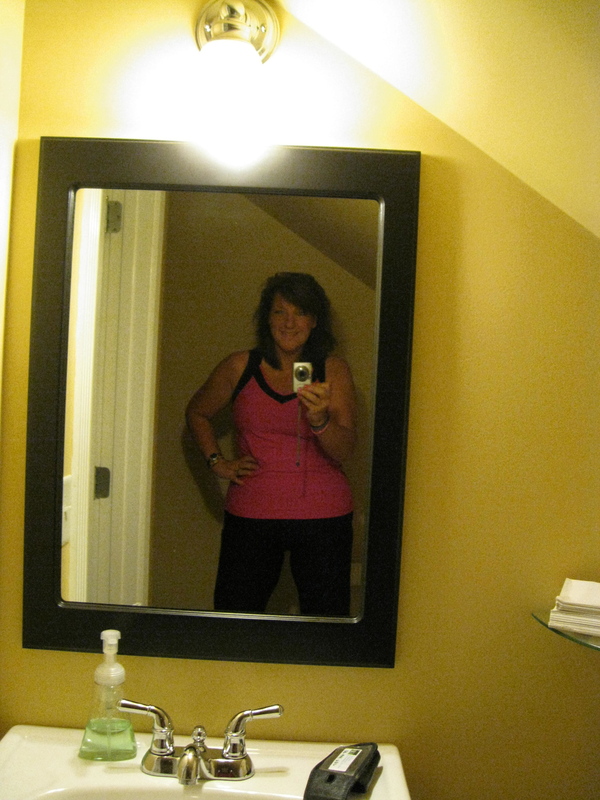 With weight loss, you live in the…”when I get to goal weight, then I will feel, fit, pretty, confident, worthy….I will do things I was afraid or embarrassed to do…when I get to goal weight.” And in not realizing that we are loved and adored by God, our family, our husbands, our friends, our children…right now, right as we are…really loved now…we are missing out on so very much. I know that I continually regret all that I missed doing, because of my weight. The night ended with the entire “panel” of front…Carter, Murn, Olivia, Hannah, Marci and Courtney. It was a time for us to ask questions, and have our last time to hear from all of them, as tomorrow was our last day, and we would all be heading home around lunch time. I just didn’t want this night to end. Courtney was 100% correct. We had begun something mighty, together, here. For many people in that room, this week they had found their “enough”, their breakthrough moment, their moment to believe they could finally do this. It was time to really commit to seeing what the Lord could do for each one of us, realizing that He had incredible plans for us. Carter even pointed out, “there are over 40 people in the room now. The love, and everything–what’s the chance of this happening here? 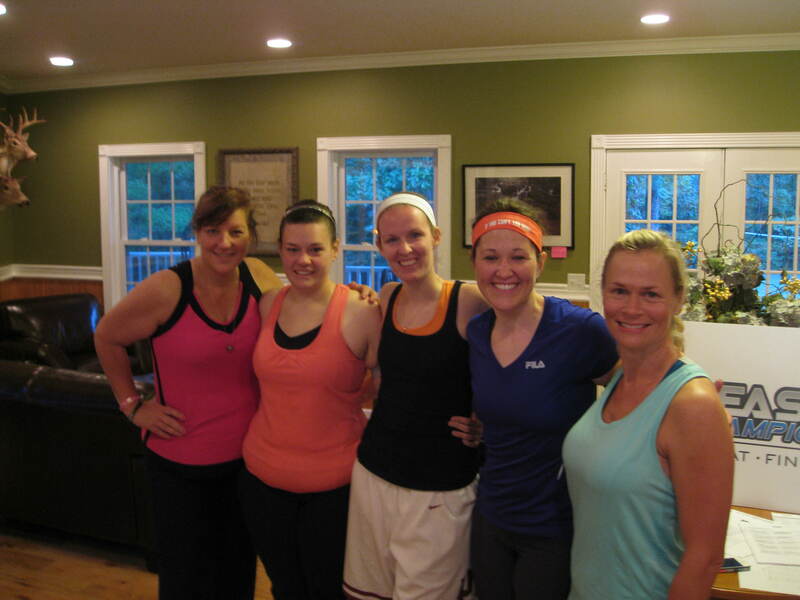 The “Faith to Fitness” group bonded 2 months before this retreat even took place….on Facebook! How does this week happen? ?—Only God…for such a time as this—THERE IS NO RANDOM!” Everyone took in that powerful statement at that moment. We ended the night asking how we could pray for each person on the panel, and they shared their requests with us. Along with personal prayer requests, they all just asked to pray that the Lord would be glorified through their lives, that they would do what He wanted them to do, that they would be used in mighty ways for His kingdom, however that may look… and that no matter what, others would see His light as they served. I had no idea, when I arrived at that ranch the first day, that these people would become such a special part of my life. I knew they would be “up front” sharing their stories, but I had no idea, that they would humble themselves and just choose to literally come alongside of all of us working out, eating, sharing, climbing mountains, taking walks, crying with us….living and doing life with us for a week, day in and day out, sharing so honestly from their hearts, some of their hardest struggles and insecurities, in order to teach us, encourage us, lift us up– believing in us so that we could come to a place of believing in ourselves….becoming our friends, becoming a part of our army…our family in Christ. What a gift. What a blessing to be a part of this group of people brought together this week, for such a time as this. WOW! As she finished saying the name, Marci…chills overtook my body, and in the black of night, tears just streamed down my face as we walked, and I just looked up in the sky, with all of the stars shining so brightly, as it was so dark…asking God, in my soul, “what is this Lord?….Marci? They can even put my name with Marci’s? (The feeling still overwhelms me, as I type this, the tears are streaming again.) These young girls had seen the love and some of the characteristics of Marci in me. Oh my goodness.. I could barely breathe, as I just really admire Marci so much. She is just one of the most extraordinary women (and mothers), I have ever met. While continuing the long walk back, in and amongst the talking, I was still just crying tears of joy and amazement in the dark, going over all the mighty things the Lord had been doing in my life this past week. And I was still trying to take this last compliment in. I was also, already praying that somehow I could share this moment with Marci before leaving the ranch. Tomorrow was going to go fast, as we only had a half day left, before having to say goodbye to everyone. But I knew that I had placed this request in His hands, and that He was the author and perfecter of time and space. And I promised myself, that if I didn’t get to tell her in person, I would find a way to write to her. 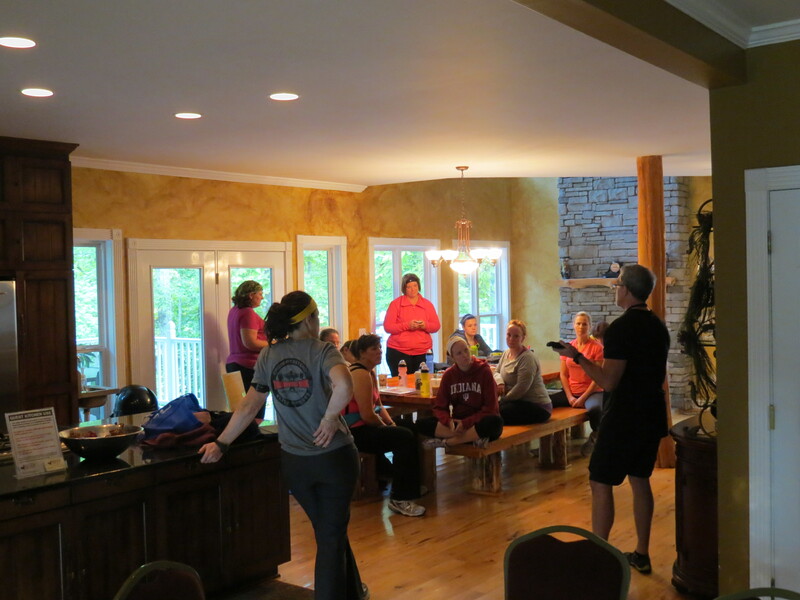 When we got back to our rooms, we all had to pack, as well as get our work out stuff ready for our last boot camp. Word had been passed around the ranch that it would be really special if absolutely everyone showed up to boot camp, as it would really bless Carter to see everyone there, so it was going to be full and exciting being all together, working out side by side one last time. After packing, I grabbed my notebook, and spent a while writing as much as I could before heading to bed. It was a long, extraordinary day..and I didn’t want to forget one moment. Tomorrow we be the last day, little did I know going to bed at this point— the amazing final day the Lord would orchestrate! Above and beyond what I could have ever asked or imagined…..